To heat up water, oils, chemicals pre-heating cleaning solutions baths. Sheathing-Tubular elements are sheathed in S.S., copper monel, incoloy etc., suitable to various applications. The elements are of ‘U’ shaped welded with flange or checknut for vertical or horizontal operation resp. Check-nut fiange is made out of brass, m.s. or s.s. Heating element - helical wire wound coil is inserted into the tube with uniform pitches and rigidly tightened by insulation powder complete with brazed terminals. 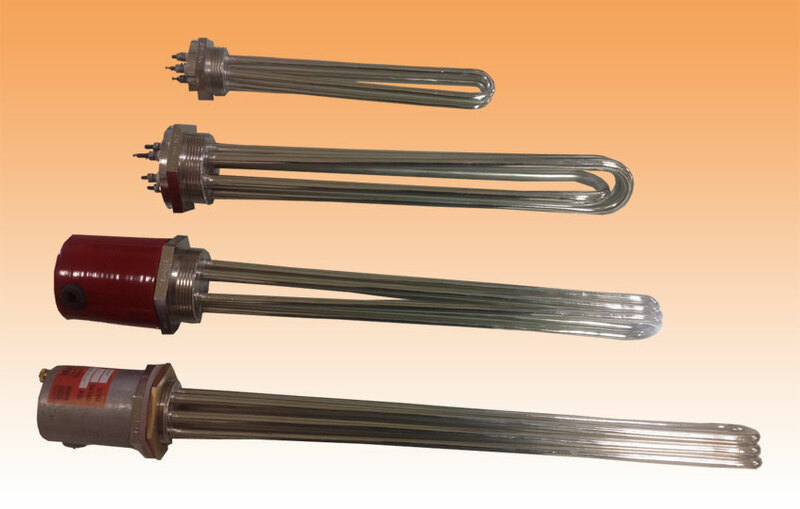 This heater is designed to heat-up the solutions rapidly as the same have more watt density than the rod type heater. This heater is also available with built in thermostat.